The Suhr PT100 plug-in offers three ultra-versatile channels that sport a jaw-dropping amount of tones, no matter what style of guitar you play. Channel 1 offers bold, classic clean sounds in the vein of legendary American amps. And by engaging the Crunch feature, you're afforded scintillating, punchy, clean‑ish tones. Channel 2 is based on Suhr's SL68 amplifier — a Thorn favorite — and gives you a versatile tonal palette, spanning subtle grind to searing distorted tones. Finally, Channel 3 flaunts a molten “modded British tone,” that only Suhr can deliver. Think thick and juicy, with rich harmonic overtones and limitless sustain. The Suhr PT100 plug-in offers additional control over your tones via the Brainworx FX Rack. It features a Noise Gate, switchable high and low-pass filters, and a Power Soak circuit that allows you to dial in as much power amp goodness as you want, without having to crank the output gain. The Suhr PT100 also includes 120 impulse response Recording Chains that were perfectly captured from several boutique cabinets and recorded through Brainworx's vintage Neve console with an array of high-end and vintage microphones and outboard gear, giving you "record ready" tones, instantly. Harnessing UA’s groundbreaking Unison technology, the Suhr PT100 amplifier plug-in gives you the impedance, gain staging, and circuit behaviors that have contributed to making it one of Suhr’s most popular high-powered amplifiers. Add PLENTY of Colored Harmonics to BASS, SYNTH BASS and 808 !!!!! Wonderful !!! The Suhr PT100 is a great sounding Amp Simulation. I like to use it instead auf a real Amp because it´s easy to use and the is no big difference to the original Sound. Very usefull, if recording electric guitars. Brainworx makes excellent amp plugins and this is one of the best hi-gain amp models. It includes a good selection of well recorded cabinet impulses. The sound is very balanced and it’s easy to get good results. Tight bottom end and a nice and soft top end without any harsh upper-mids. The response of the amp is very good and dynamic playing works very well on this amp. Very good for classic rock, metal and fusion styles. This is my new favorite. One of the biggest pursuits of any guitar player/engineer is to get that magical legendary clean and overdriven tones from their guitar tracks. Sometimes, no matter what you do there could be something missing or just a lacking “it” factor. So imagine how surprised I was when I plugged in for the first time and found that the “it” factor was coming out of my monitors in bucket loads. Hands down... one of the must get guitar amp plugins today!!! Being an owner of most of the UAD amplifiers, this one is special. I use a lot of Telecasters in my electric guitar playing and this nails those early 70s/Led Zeppelin 1st album tones to a tee. The distortion breaks correctly and notes hang. The only thing missing is facing your guitar to a speaker cabinet to get feedback. The only negative I would have is lack of 4-10 or 1-15 cabinet emulations. The Suhr PT100 Amplifier is without a doubt a great plugin emulation of the original Suhr tone, but somehow the low end is always missing life with Brainworx emulations. Compared to the Softube developed amp emulations the one by Brainworx always seem a bit lifeless especially in the low end. Also the upper mids tend to sound too much like filtered noise instead of organic overtones. Again, I am not saying the Suhr PT100 Amplifier sounds bad. Not at all. Would not have bought it otherwise. But there is still room for improvement. 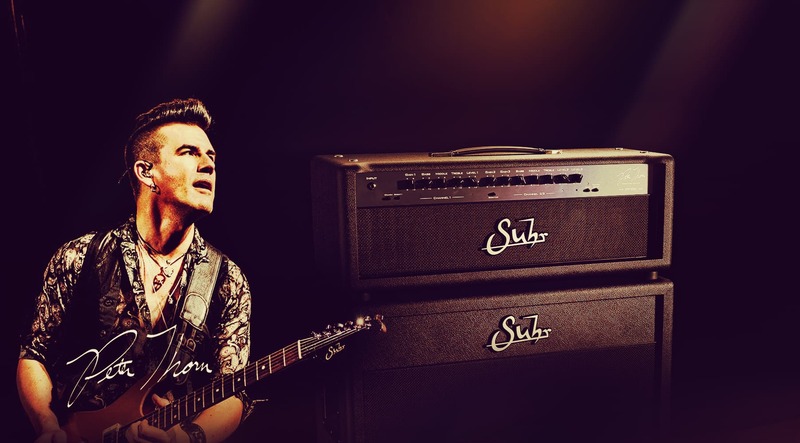 Would love to see more guitar amps by Softube, how about a Marshall JCM800 or Mesa Mark IIC+? A lot of plugin for the money! Versatile UAD guitar amp plugin. The 3 channels provide nice tonal range and quality straight out of the box. Responsive 'real-time' feel when dropped into a UNISON slot. A lot of plugin for the money. I am a guitarist and I’ve owned or played with high end gear through the years(Mesa, Marshall, Fender, Divided by 13, Vox, Suhr, Bogner...) and this plug, inside a mix, you could not tell the difference if it’s a real recorded amp. It feels awesome in the hands, but in the mix...woww! If I had to choose one electric guitar plug in for all my music this would be it. Extremely versatile and flexible and the sound quality is excellent. Especially the clean sounds are superb which was a little unexpected. Suhr PT100 Plug-in is Awesome!!! I have several amp modeling plugins. The PT100 is by far the most realistic in terms of great tone and real amp feel. The "feel" is the best aspect for me. The sound is great and real, my next purchase! My favorite amp plugin so far. East to dial in. Great tones. This thing rocks. Tolle fette Gitarrensounds. Super für Rhythmus und Lead. Mein letzter wurde fast ausschließlich mit diesem Amp eingespielt. Suhr PT100 gave me what I had long dreamed of. Thank! All of the 5 star reviews should tell you something -- and I agree. I've got most of the UA amp plug ins and they are all usable and, in many respects, outstanding but the PT100 has the clean to grind sound I've been looking for. Incredible. Pete Thorn is the modern guitar God who has incredible tone and now, my guitar sounds like his amp...not the playing, but that’s the next step, lol. Great plug-in! You can check it out on my next tune. I used PT100 amp. Very same sound.